The ECOWAS Court, sitting in Abuja, Nigeria, will today hold a hearing on a case filed by Ebola survivors against the government of Sierra Leone. This hearing stems out of a case filed against the Government of Sierra Leone (GoSL) in December 2015 by two Ebola survivors and a public interest plaintiff – the Centre for Accountability and Rule of Law in Sierra Leone (CARL-SL). The plaintiffs in this matter claim that the government of Sierra Leone mismanaged the Ebola crisis and that the government’s mismanagement of $14M in Ebola response funds caused violations of the rights to life and health of Sierra Leoneans. The plaintiffs rely on the findings of two special audit reports released by the Audit Service of Sierra Leone in 2015 and 2016, which found that the government’s fiscal mismanagement caused “a reduction in the quality of service delivery in the health sector” during the Ebola crisis. Specifically, the plaintiffs argue that the government’s poor stewardship of the Ebola funds diminished the human and physical infrastructure needed to handle the Ebola crisis including, for example, insufficient numbers of healthcare workers, ambulances, and treatment facilities. The result was a greater number of Ebola infections than would have occurred otherwise. Further, the plaintiffs argue that the government failed to investigate effectively mismanagement of the Ebola funds. Investigation is critical to preventing future violations. 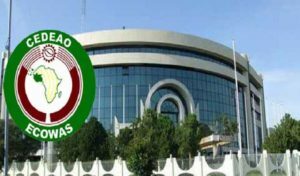 The ECOWAS application seeks several remedies, including declaratory relief, a review of compliance with government accounting and procurement controls, initiation of relevant criminal inquiries, and monetary damages. The application also includes relief requiring the government to invest more resources in addressing the health needs of survivors of the Ebola virus disease.